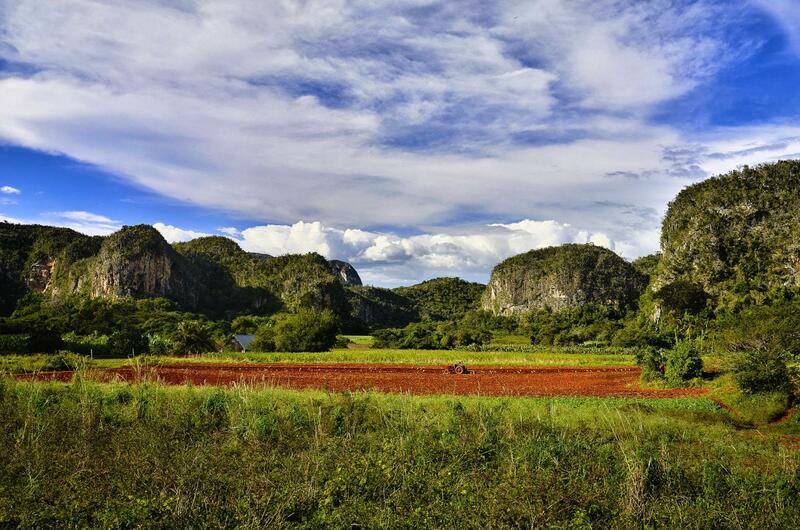 A tobacco farm in Cuba's Vinales, Valley. 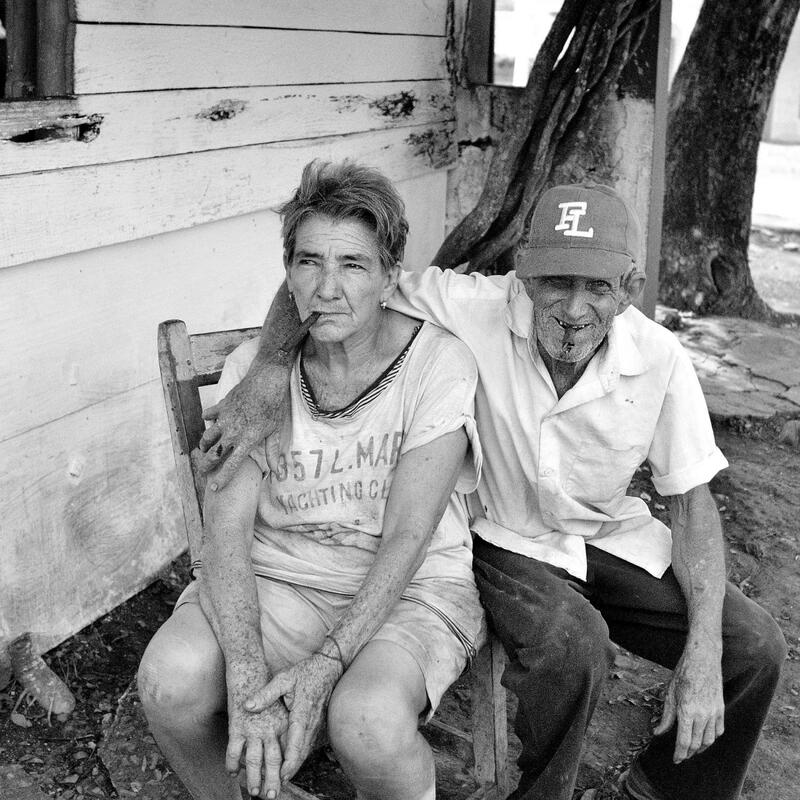 With scant resources for machinery and chemical fertilizers, most Cubans farm small plots with oxen and human labor. 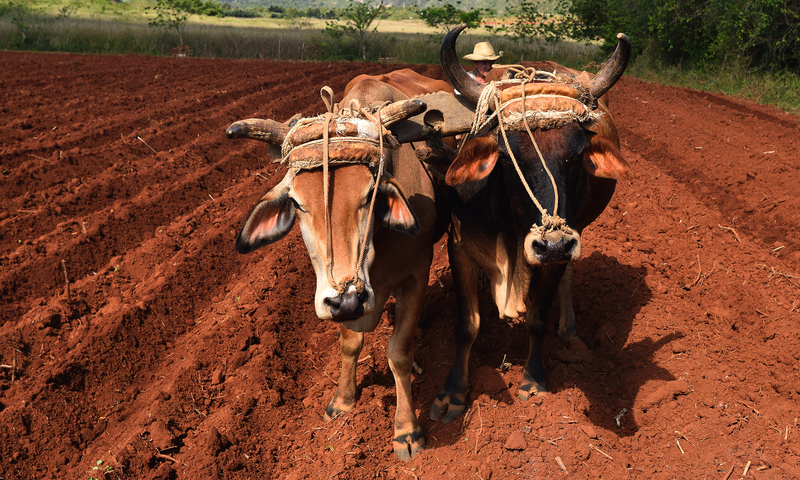 As Cuban agriculture slowly modernizes (there is a rare tractor in the first photo of this gallery) it may have profound consequences for "the soul of Cuban agriculture , the Times stated. 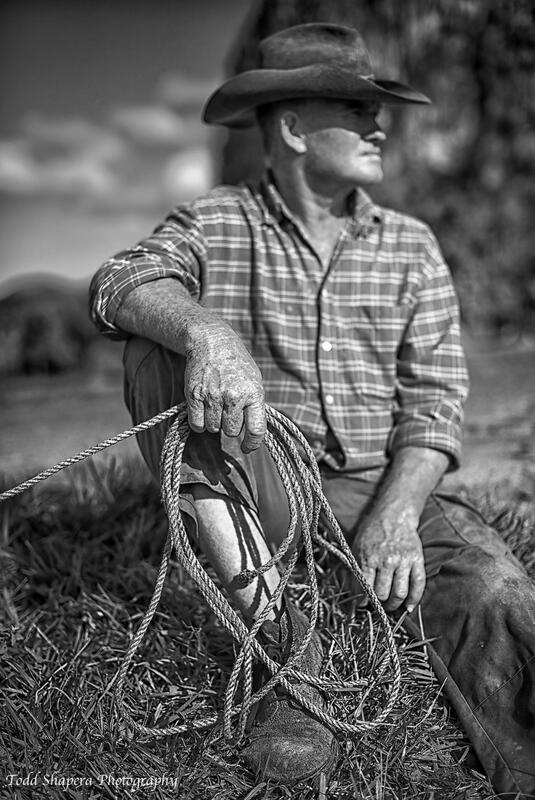 To discover a slice of this Cuban soul, between April 2016 andd February 2018, I've cycled and hiked three mountaint ranges in western, central and easthern Cuba, photographing the farmers I've met along the way. The project is ongoing. 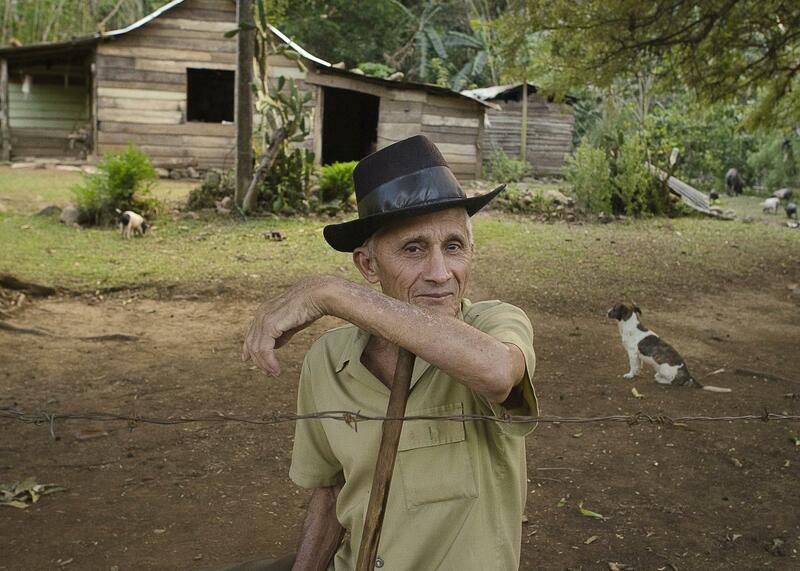 Farmer at home in Santa Domingo beneath eastern Cuba's Sierra Maestra mountains. 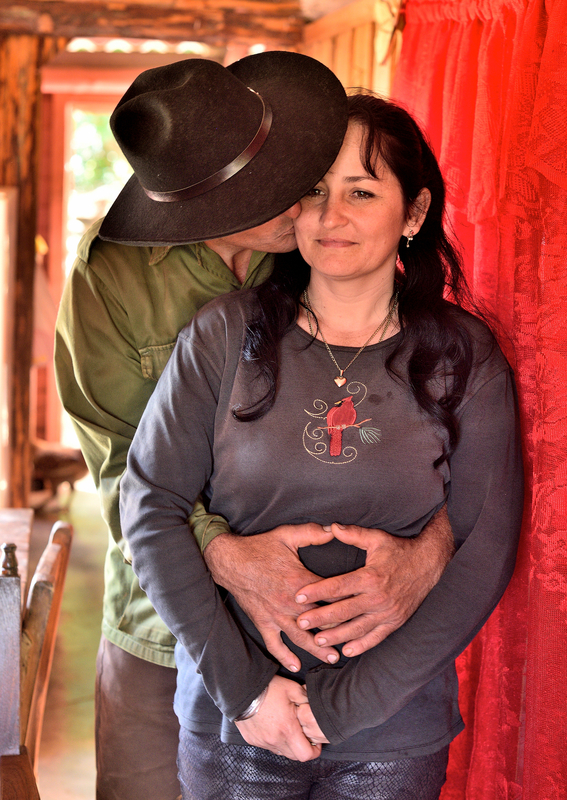 A farming couple in their modest cabin in the Topes de Collantes mountains outside Trinidad, Cuba. 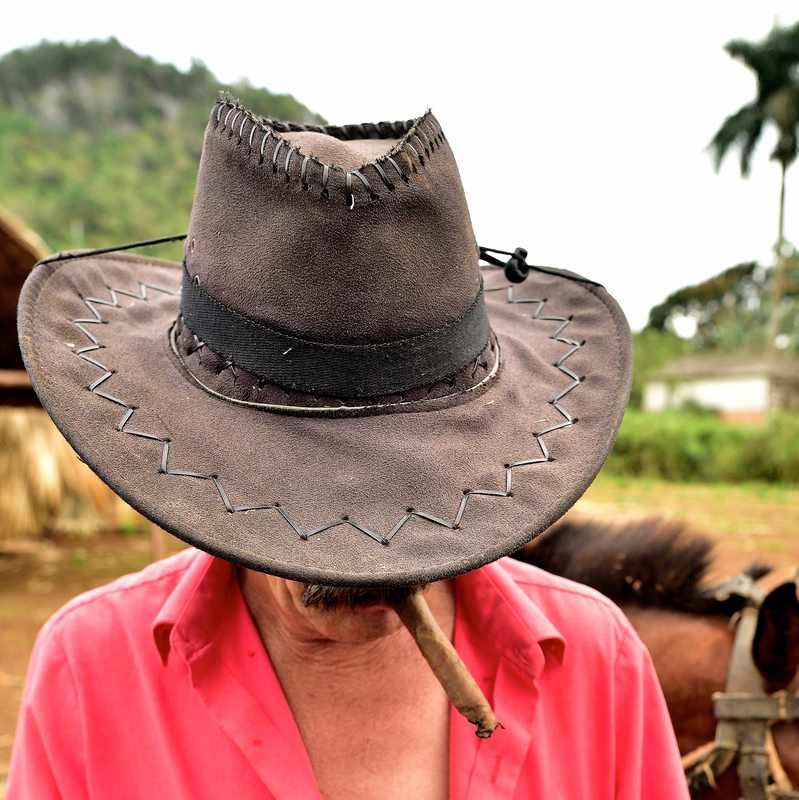 A Cuban tobacco farmer, his hand rolled cigar, and sombrero on the edge of his field. 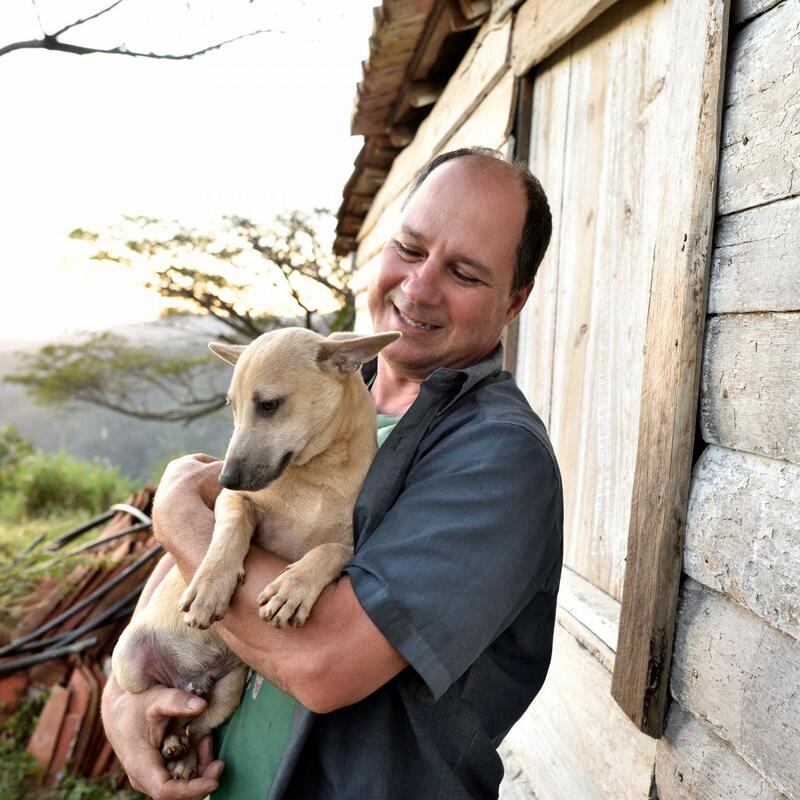 An orgnic farmer and his dog in the Topes de Collantes mountains, outside Trinidad, Cuba. 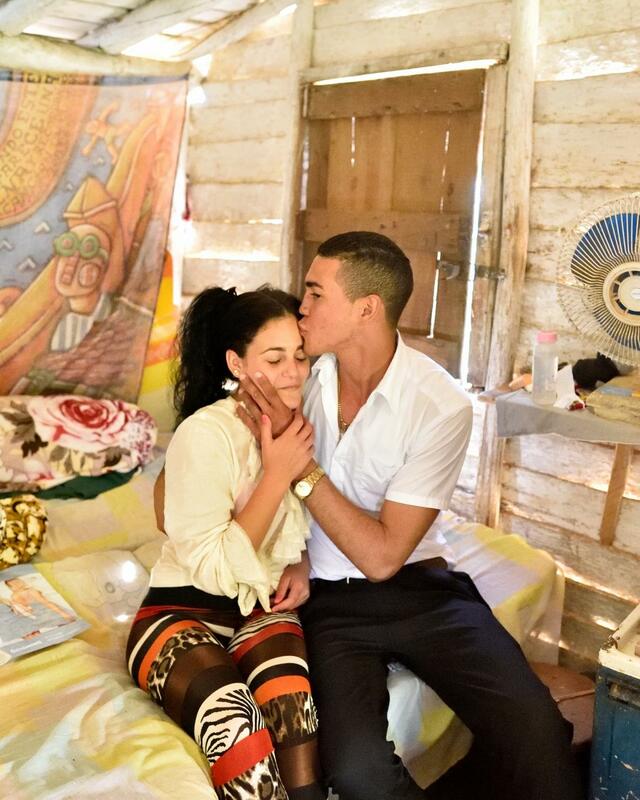 A Cuban tobacco farmer embraces his wife in their farmhouse. 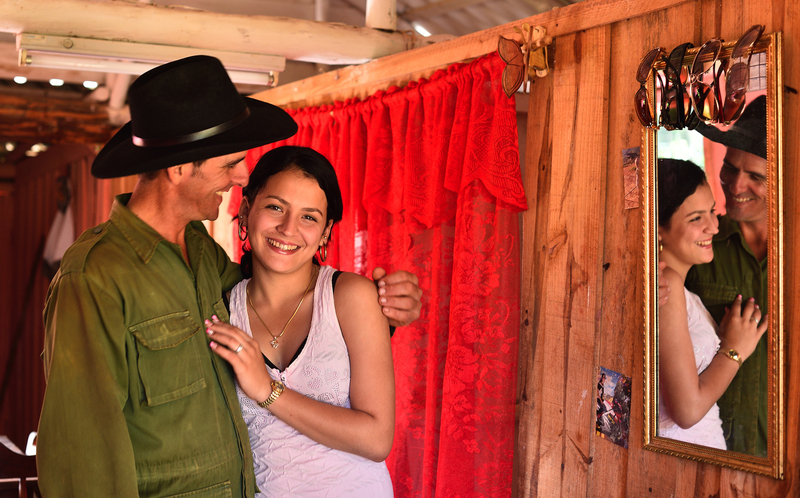 A Cuban tobacco farmer with his daughter in their farmhouse. 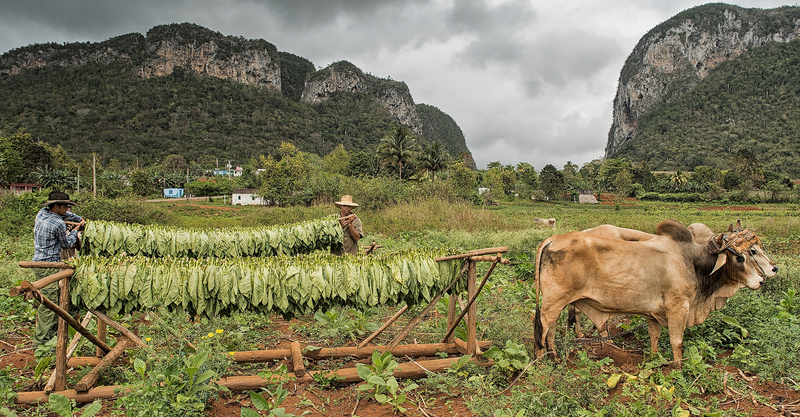 A tobacco farm near Vinales in western Cuba. 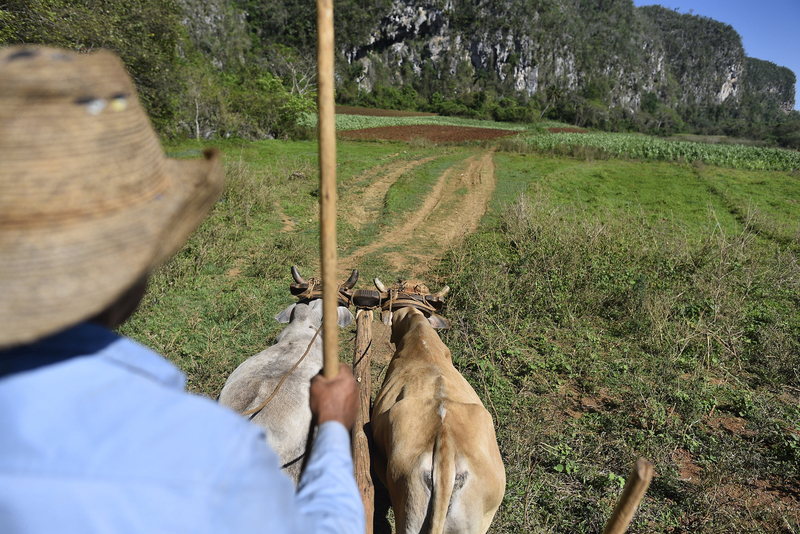 With few tools, Cuban farners rely on oxen for farm chores and trasnportation. 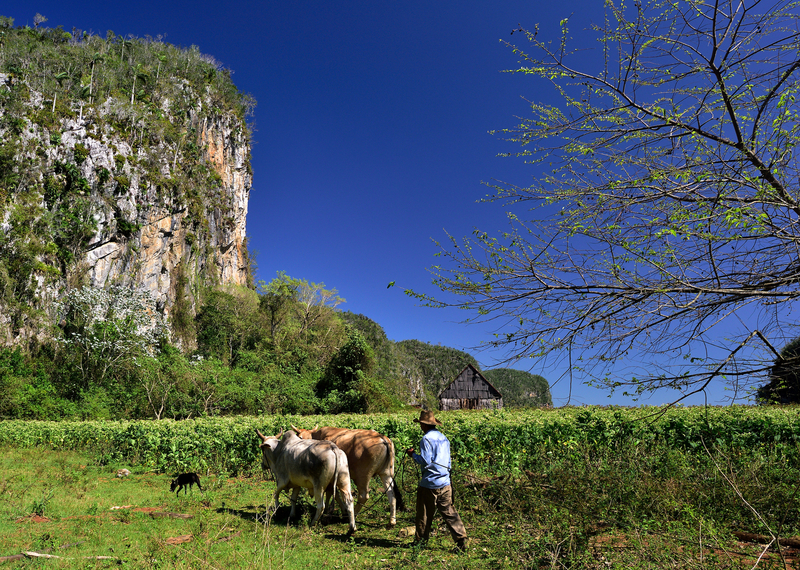 Most Cuban farners rely on oxen for field work. 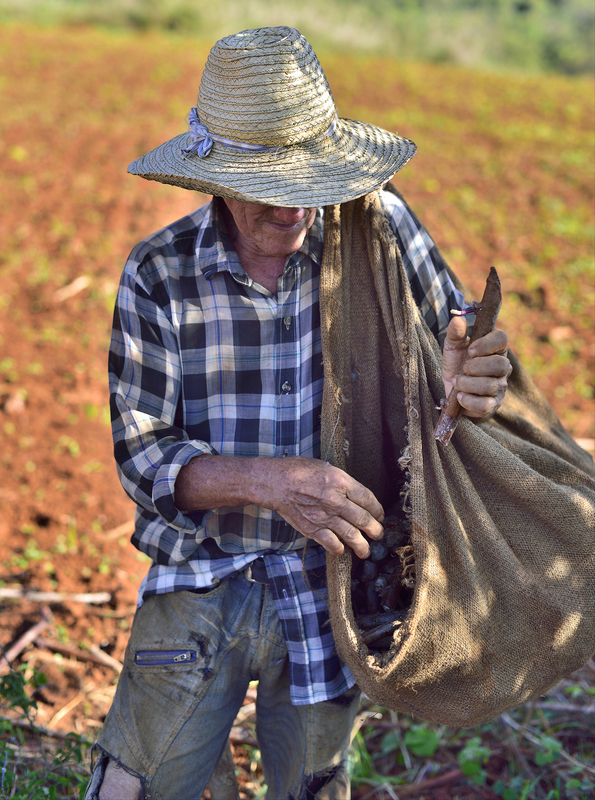 A Cuban farmer preparing a burlap bag of yucca for planting. 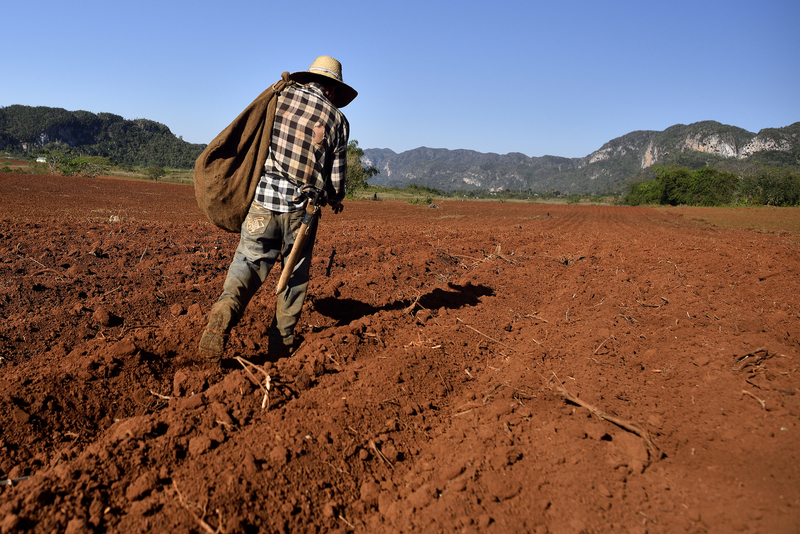 A farmer walks his field to plant yucca in western Cuba. 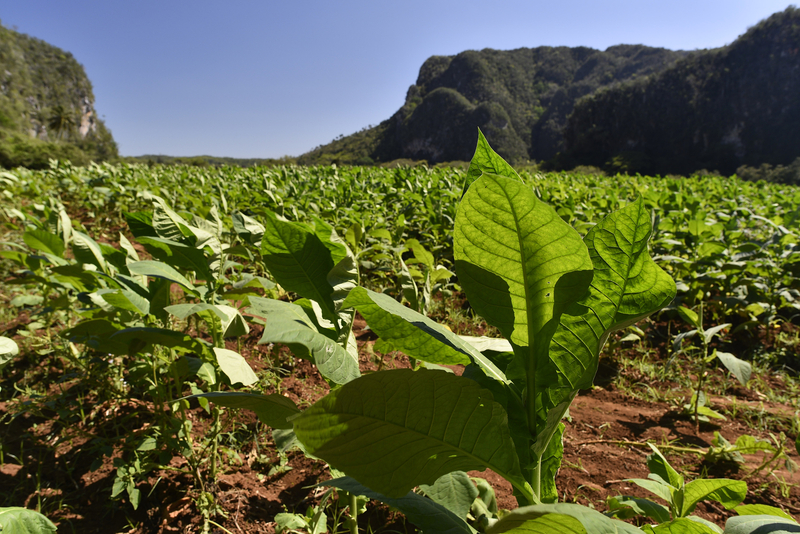 Tobacco plants at the base of mountains in western Cuba. 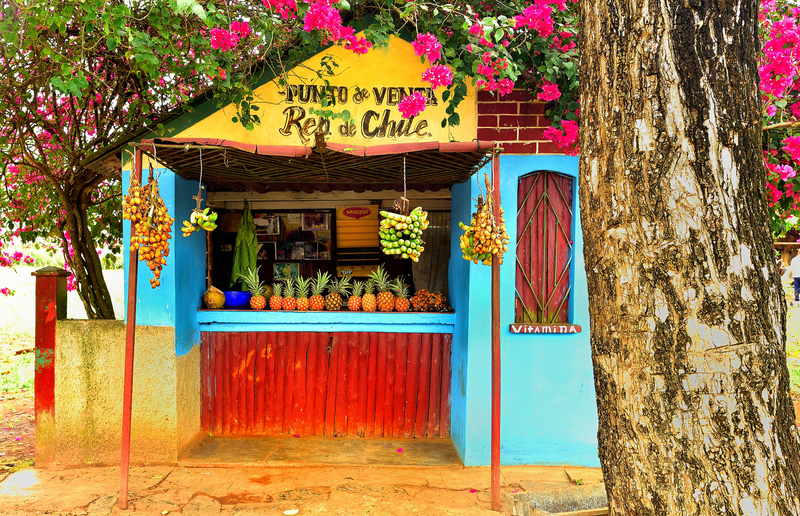 A roadside kiosk selling fresh fruit from Cooperative Chile. 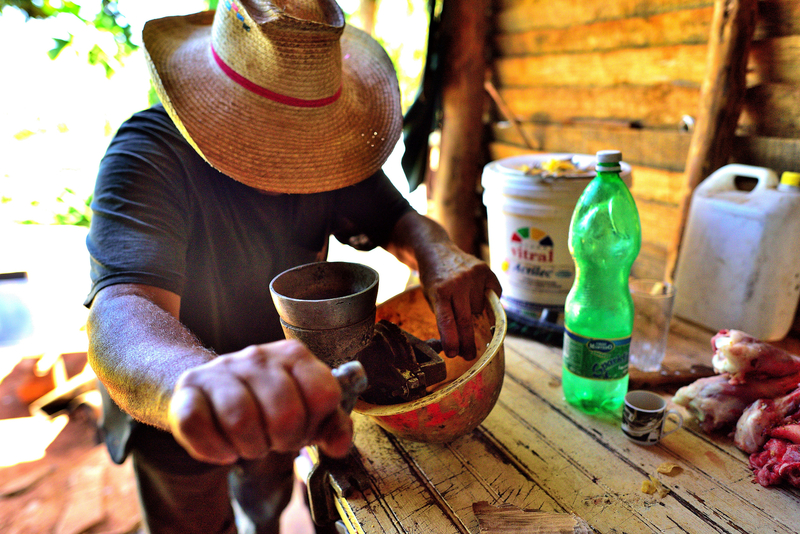 A tobacco farmer grinds freshly roasted coffee beans. 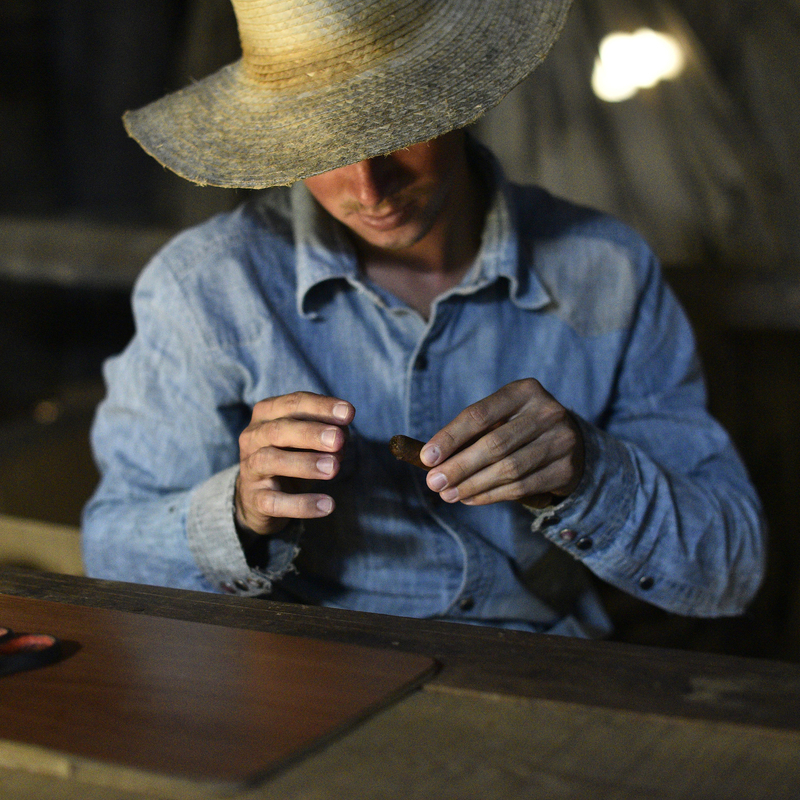 A Cuban tobacco farmer prepares a hand-rolled cigar. Tobacco farmers rack harvested leaves and load them on a sled for their oxen to haul to the drying barn. 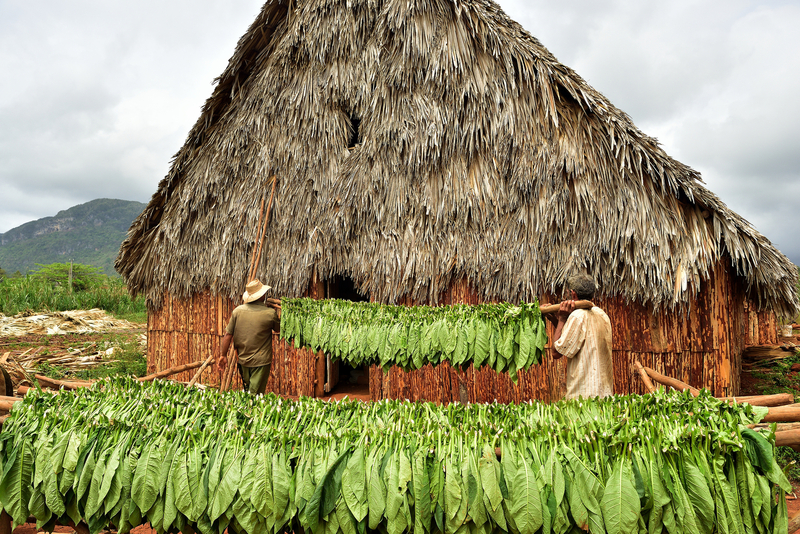 Cuban tobacco farmers carry racks of harvested tobacco leaves into their thatched barn for drying.